A 3-in-1 Jacket isn't just sweet looking. 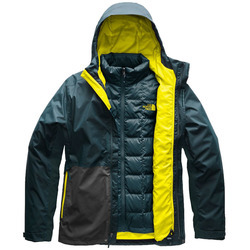 It can be a practical, hard working jacket particularly for those of us in the Pacific Northwest where layering is key to staying comfortable and dry in uncertain weather. A 3-in-1 Jacket gives you a mid-weight fleece, a rain jacket and a heavier weight option for taking on inclement weather or trips up to the mountain. The US Outdoor Store has a number of 3-in-1 jackets that will have you prepared for whatever the weather throws your way. Browse our selection of jackets and save with Free Shipping and No Sales Tax on orders over $40 in the contiguous U.S.A.